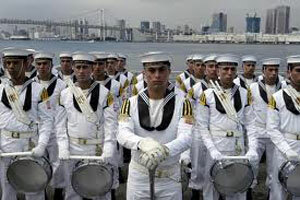 Navy Day in Chile is celebrated on May 21st each year celebrating the battle of Iquique on May 21, 1879. People can attend parades and speeches and marks the beginning of parliament when the President of Chile gives the State of the Nation address. This is a national holiday with most government and business offices closed. The Battle of Iquique took place on May 21, 1879 in the War of the Pacific between Chile and Peru. The town of Iquique was under Peruvian control and Chile blockaded the harbor with ships in which Peru's responded by attacking the blockade and defeating the Chilean navy. Arturo Prat had shown great bravery in this battle and is considered a naval hero in Chile.